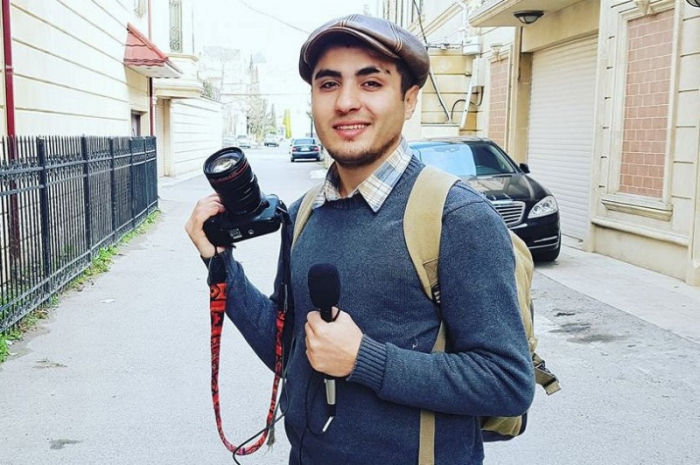 Jailed blogger Mehman Huseynov has addressed media representatives on, AzVision.az reports citing Report. “I have been serving my sentence for 22 months. During this period, I always tried not to offend anyone with my actions and behavior. And I also don’t want to spoil anyone’s mood with my message,” reads the message handwritten and undersigned by Huseynov on Jan. 10. “Recently, I received a message from my relatives that a social network user shared disinformation alleging that my health suddenly deteriorated at night and I was rushed to the hospital. This information has caused my father and relatives to feel anxious. I believe that everyone must bear responsibility for both his actions and what he writes. However, one should always take into account people’s feelings. I would like to mention one point that I’m not also responsible for the actions of my brother Emin or for the actions of people who love or dislike me. I would like to bring to the attention of those who love me that I am not ill, I started to eat, and I am recovering after ending the hunger strike. I expect the criminal case initiated against me to be resolved in a fair manner. I thank you in advance for spreading my message,” says the message.